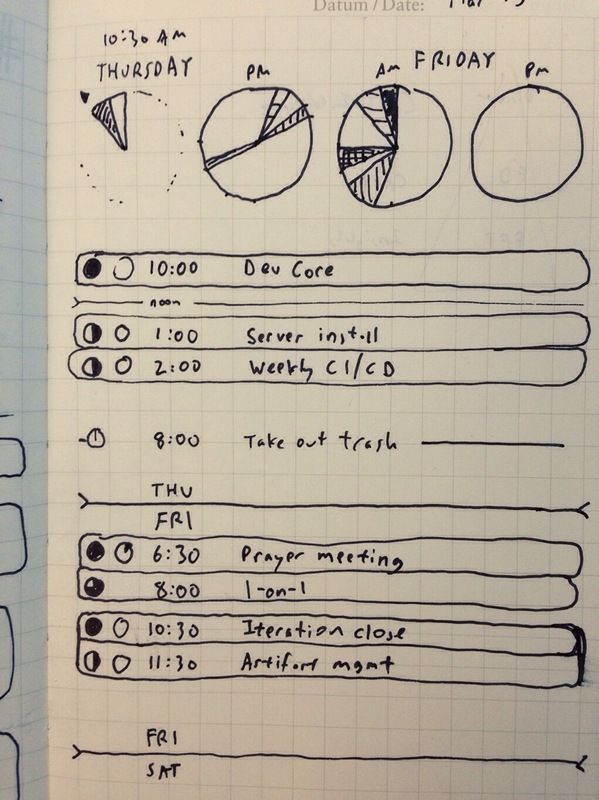 Here’s a doodle of some ideas I’ve had in my head, based on my rant of current calendar apps. I’m exploring the use of clocks to show my busyness landscape. Although it gets a little awkward at the AM-to-PM transition, clocks are ubiquitous and easily interpreted. I’m using clocks also to show duration, which, by stacking, I can save space. So, each line on the grid represents up to two hours. Events with zero duration and all-day events should be treated differently.